It's been a while since I've done a Five Things post, huh? Well I finally have five things saved up, so here's a new one! As a psychology major who fell in love with her very best friend, after months (years?) of dancing around whatever romantic stuff was really going on between us, I find this project SO, SO fascinating. Tim & Jessica have been friends for years, each with a long string of failed relationships for very different reasons, and they make a pact to date each other for 40 days. And every day they separately write about how it's going. And they just finished the 40 days, so you can go read the entire thing start to finish (no waiting impatiently!). I don't think I really have much in common with either of them, but I think that's why I find it so fascinating. I love how infinitely unique people are. Jeff and I renewed our vows in July! 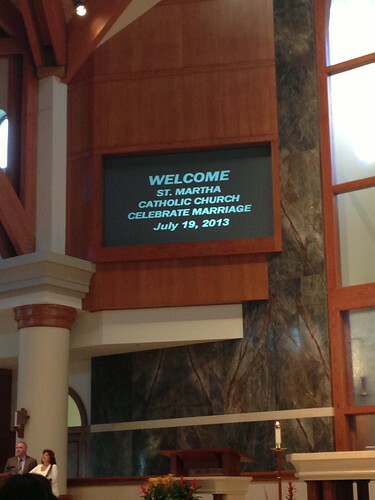 Our church hosted a vow renewal Mass for all of the married couples, and we were like sure, why not? so we went to church on a Friday night and renewed our vows! It was actually really lovely. There were a lot of couples there, and we all said our vows at the same time, and although we were just one couple in a church full of couples, it felt much more intimate and touching to me than when we actually said our vows on our wedding day. When we got married, we were in front of all our family and friends, and I was worrying about how the train of my dress looked and whether I was talking loudly enough that the people in the back of the chapel could hear, and there was sunlight coming in through the stained glass windows and I was worried that Jeff would have squinty eyes in all the photos and as much as I tried, it was hard for me to just be "in the moment." I'm not one of those people who enjoys being the center of attention, so I was self-conscious and thinking about practical things for a lot of our wedding day, and there were just a lot of things distracting me from the vows themselves. It was a beautiful, lovely day, but it was just really public rather than intimate, you know? When we renewed our vows, it was just us... we were surrounded by strangers and there were no photographers and no flowers to hold and I wasn't at all worried about how loud I was speaking or what my dress looked like and it was kind of a magical little moment. I'm really glad I took a break from Bar exam studying to do it! I was in a Catholic sorority in college. I loved the girls I met through it so much. Some of them are still my very best friends, and it was just so wonderful to be a part of such a beautiful, supportive group of women. At some point (either my last year of college, or maybe when I was back visiting at an alumni event right after graduating... 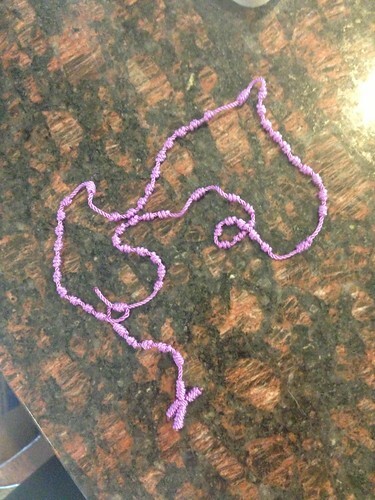 I can't quite remember), one of the younger girls gave me this purple rosary that she made for me. I can't remember at all who it was that gave it to me... I know it was one of the younger girls who I didn't know extremely well (I was the President my last year of college, so there were a lot of younger girls who knew me better than I knew them). I remember being touched that she had made it for me because it wasn't someone I was super close with, but as hard as I try, I can't remember who she was. Anyway, I really wish I could remember because I ended up packing the rosary when I went to take the Bar exam. I didn't want to bring my regular rosary because I was worried it might get lost in all the Bar exam craziness, so I packed this one instead. And it was a godsend. Praying the Rosary is so calming to me, and that little purple handmade Rosary really got me through those three days of taking the Bar. So, if you're reading this and you're the sweet girl who gave it to me, thank you from the bottom of my heart, and please tell me who you are! And to everyone else, just know that little acts of kindness like this can and do make a huge difference in people's lives. Maybe not until years later (it's been at least three years in this case! ), but they do make a difference. I'm a dutiful English major who generally refuses to see movies based on books until I've read or re-read the book first. Since I was studying for the Bar exam when The Great Gatsby movie came out, the book and the movie had to wait. But on the plane en route from Houston to Singapore (via Moscow), I finally got to re-read The Great Gatsby for the first time since high school. I know some people really love it, but it wasn't one of my favorites in school (I had a good friend in high school, John, and it was by far his favorite book we read in Junior English, and I never could understand why). I hadn't read it since then, and it turns out I still find it horribly depressing, although I do appreciate F. Scott Fitzgerald's beautifully descriptive writing. After I read the book, Jeff and I watched the 1974 Great Gatsby movie. It was marvelously true to the book, but kind of just blah. Then we watched the new Great Gatsby movie, and it was amazing. Beautifully done. I actually think I liked the movie more than the book, except for a few little things that were left out (most of all, they leave out the moment when Gatsby sees Daisy's daughter for the first time, which I think is one of the most poignant scenes in the book). So, I think I've now read and watched enough Gatsby-related stuff to last me a lifetime. But I'd highly recommend the new movie (although you really must read the book first!). I'll be starting work pretty soon, and I'm already dreading driving in Houston traffic every morning. It's actually not bad from where we live to downtown (my commute will be a million times easier than it was when I had to drive to school every morning), but it's still worse than never leaving our sweet little suburb during rush hour (which is what I'm doing now). Whenever I start to feel annoyed at the Houston traffic, I just think of this story about a 100 km traffic jam in China that lasted 9+ days. Perspective is everything! 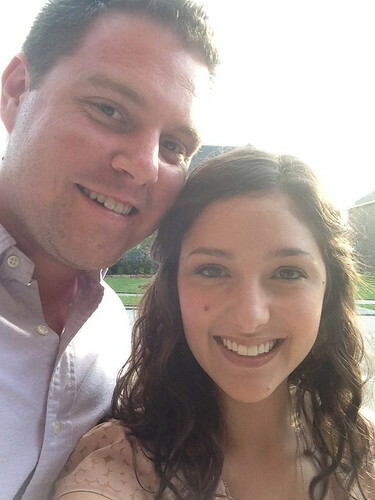 Traffic, dating, rosaries, wedding vows, and Gatsby. How's that for a random blog post? During my afternoon commute from Houston back to the suburbs, I listen to one of the comedy radio stations on satellite. It keeps me calm and laughing while I'm poking along on 610. I just read the 40 days dating so interesting...I want to know they are able to be friends now. 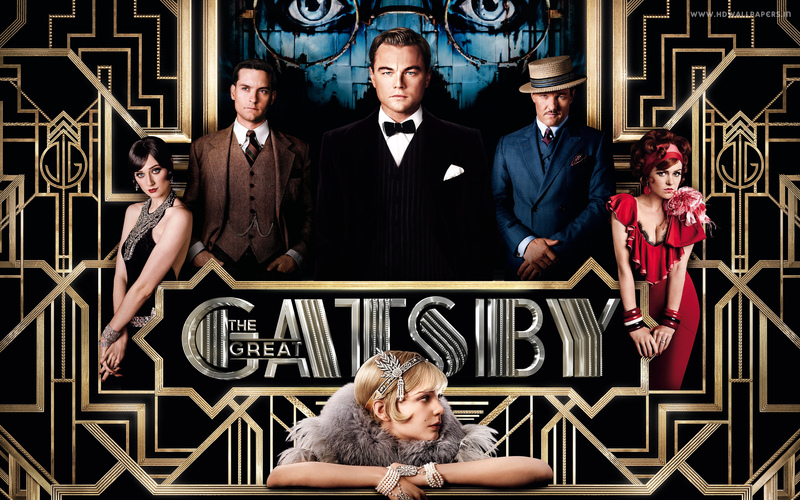 Totally with you on the Great Gatsby novel and the old movie, but I'm intrigued by the new one. P.S. I really love that picture of you guys on the vow renewal night! What an awesome event! P.P.S. Hope your first week of work is going splendidly!